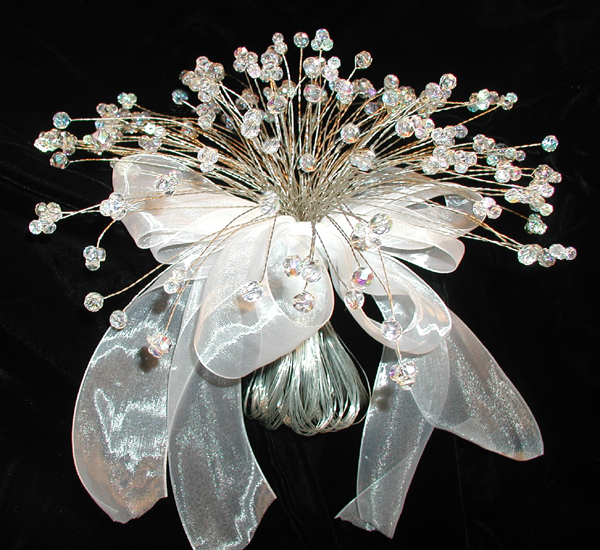 silver pearls and metallic silver ribbon. 9 " wide and 12" tall. using our exclusive "High Twist"
machined process for extra luster! Check back soon for more styles! This is a one-time offer and a really great deal! This is a one-time offer and an amazing deal! 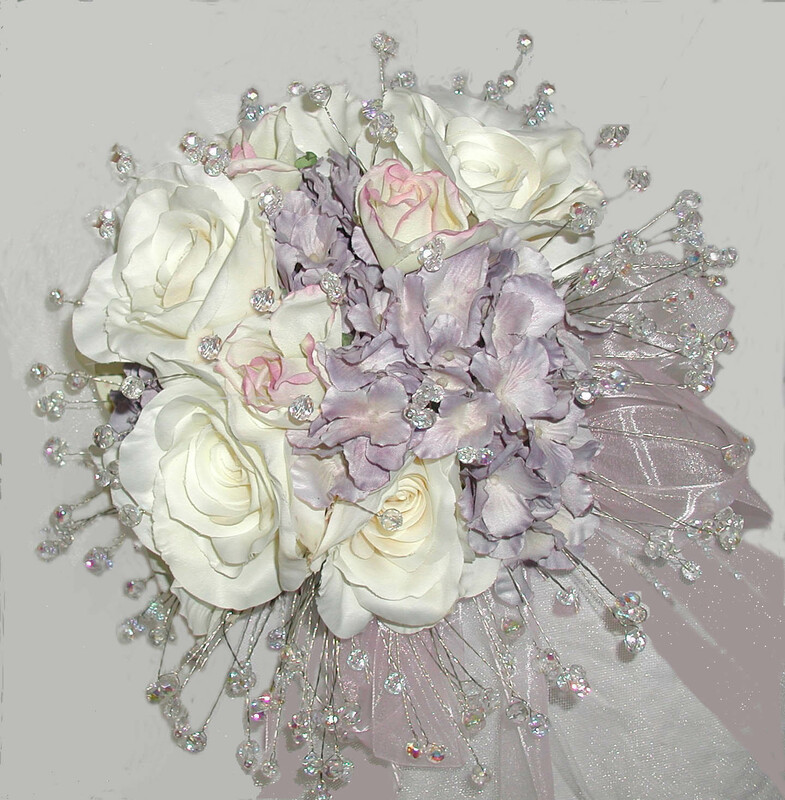 If you buy both bouquets we will combine shipping. You will be reimbursed after checkout. 1 large beaded poinsettia and ivory ribbon. 7 " wide and 13" tall. with pale yellow organza ribbon. 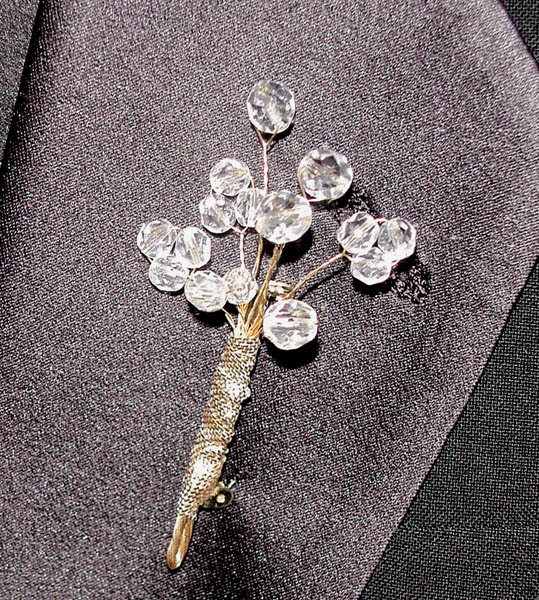 and a boutonniere or pin corsage. 8 " wide and 11" tall. 8 " wide and 10" tall.